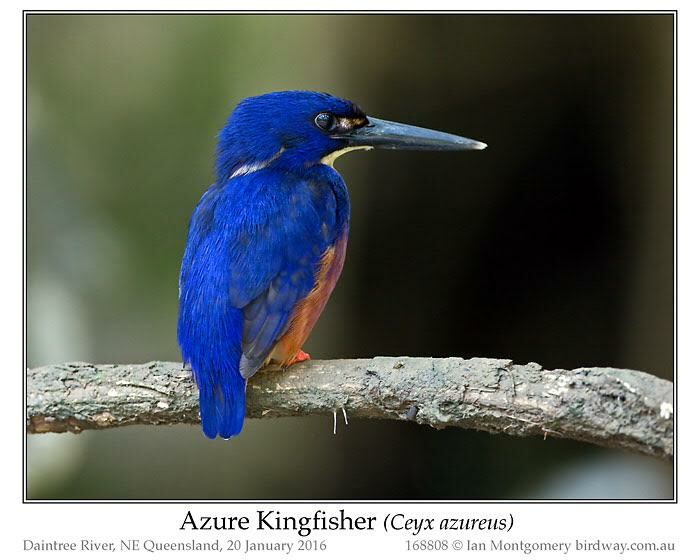 Although the second boat trip at Daintree didn’t produce any more Black Bitterns, it did produce a few gems including this Azure Kingfisher. 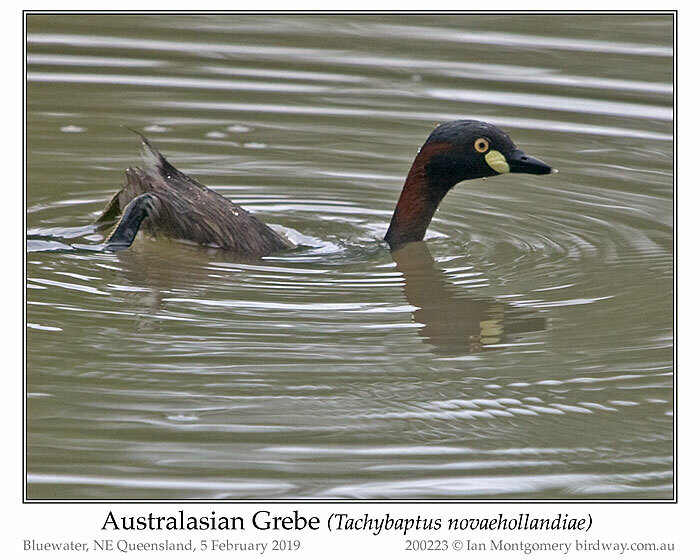 This has featured as bird of the week before, but that was almost exactly nine years ago so I imagine you’ll forgive another one. 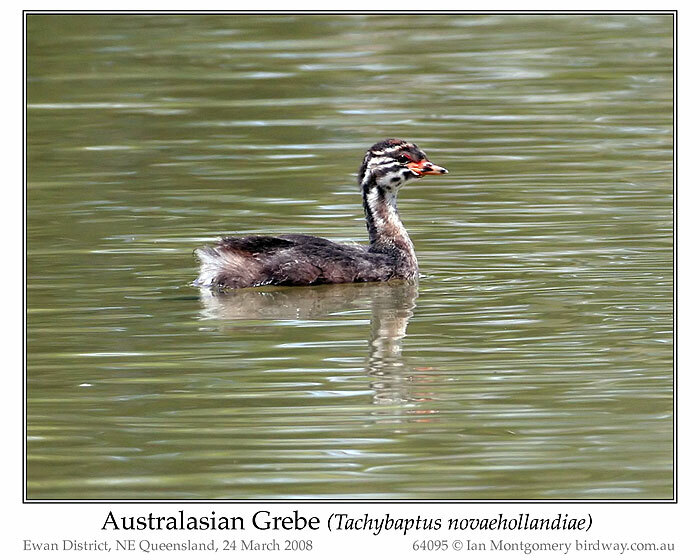 They’re small (17-19cm/6.5-7.5in) usually quite shy and often hard to spot perched in dense riverine forest but these ones on the Daintree seem to be used to boats full of birders. Anyone this one let us get very close. 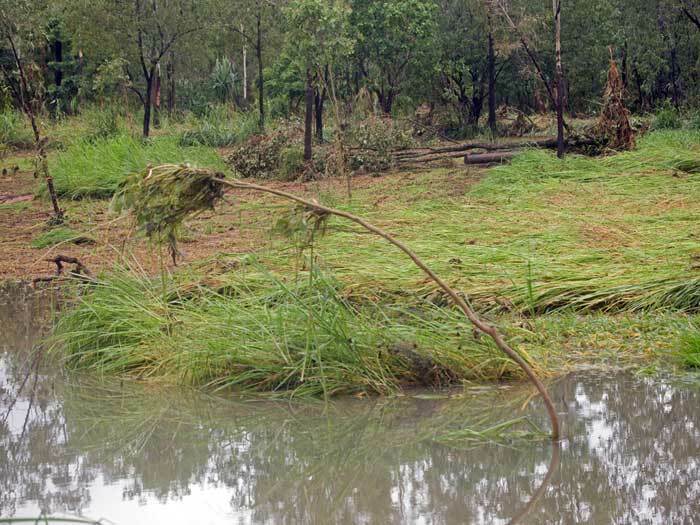 Incidentally, I meant to provide a link to Ian Worcester’s website last week but forgot, so here it is: Daintree River Wild Watch. The one in the first photo is an adult, probably a male from the bright colours. The second photo is on another one on the Daintree from an earlier visit. This one is a juvenile, I think, with scalloping on the crown and blacker wings. Azure Kingfisher normally perch on a branch over water and dive for their prey, returning to the same perch to administer the coup de grace. 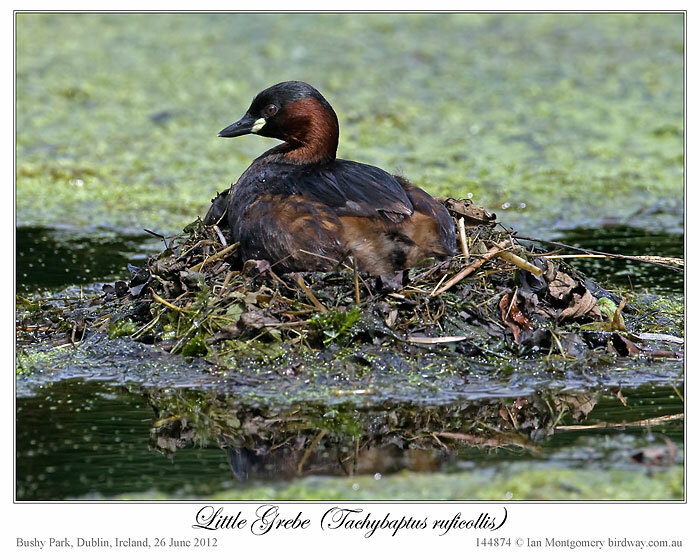 They feed mainly on small fish, but also on crustaceans and other invertebrates and occur on both fresh and tidal rivers. 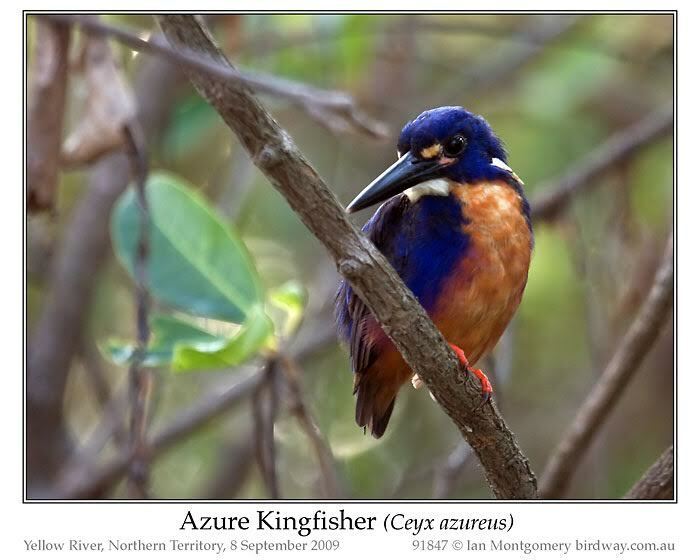 Azure Kingfisher occur in New Guinea and northern and eastern Australia and in Tasmania. Three Australian races are recognised. 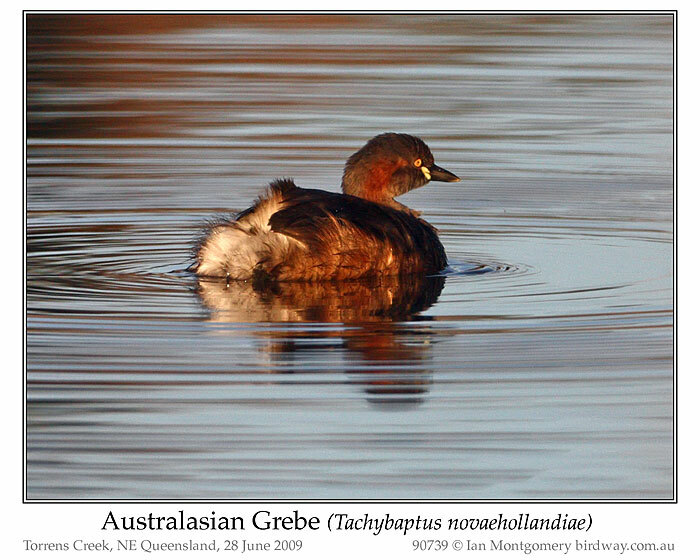 The bluer nominate race occurs in eastern Australia, while the smaller, more violet northern race ruficollaris, third photo, occurs from NW Western Australia eastwards as far as Cooktown in Far North Queensland. The northern race has more blue extending much farther down the flanks than in the nominate race. 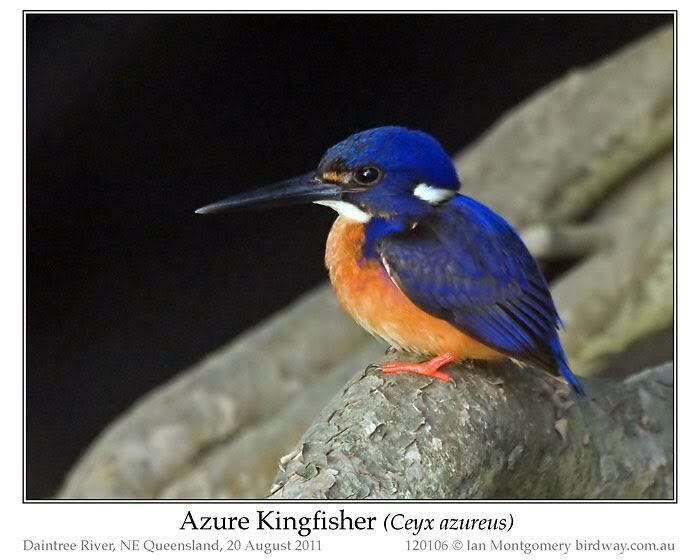 Cooktown is only about 100km north of the Daintree as the Kingfisher flies, so the birds here are probably intermediate between these two races. 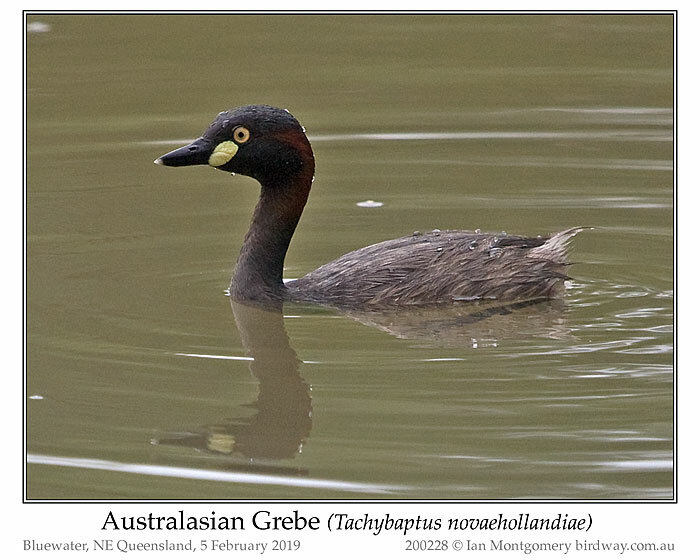 I’ve included the bird of the week from February 2007 for comparison, fourth photo. this was in the Sydney area and belongs to the nominate race. 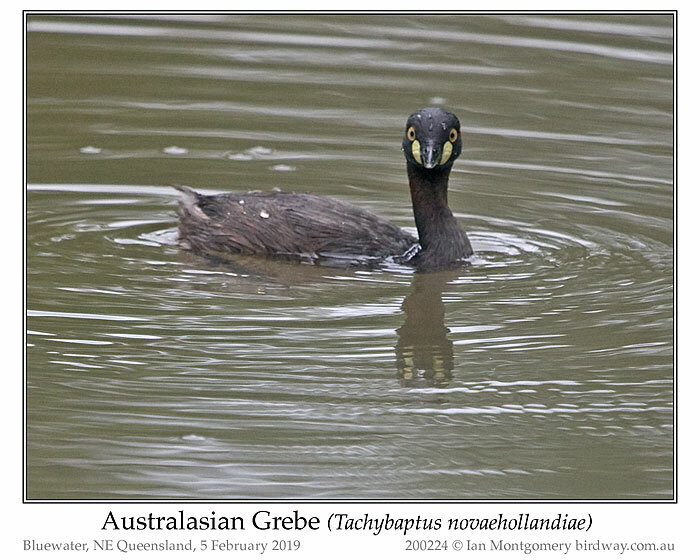 The third race diemensensis occurs only in western Tasmania and is classified as endangered by the Tasmanian Government. It is larger, has a smaller bill and a dark crown. Work progress on the website. 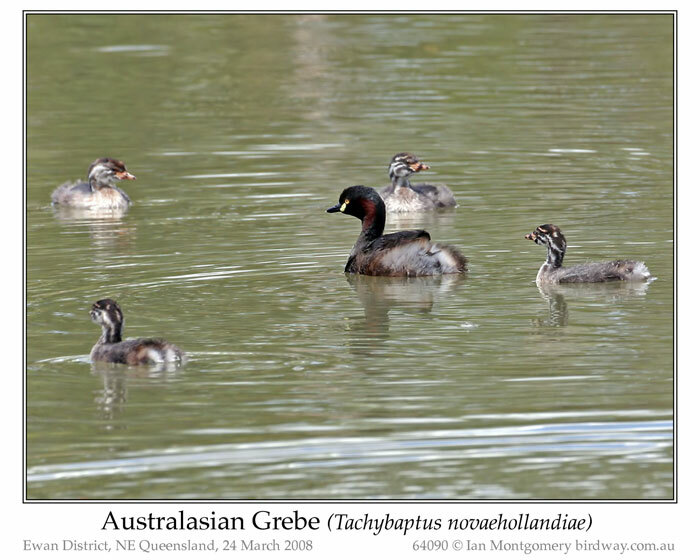 I’ve finished updating nearly all the galleries of the Australasian non-passerines (58 families) with only the members of the Cuckoo family to do. 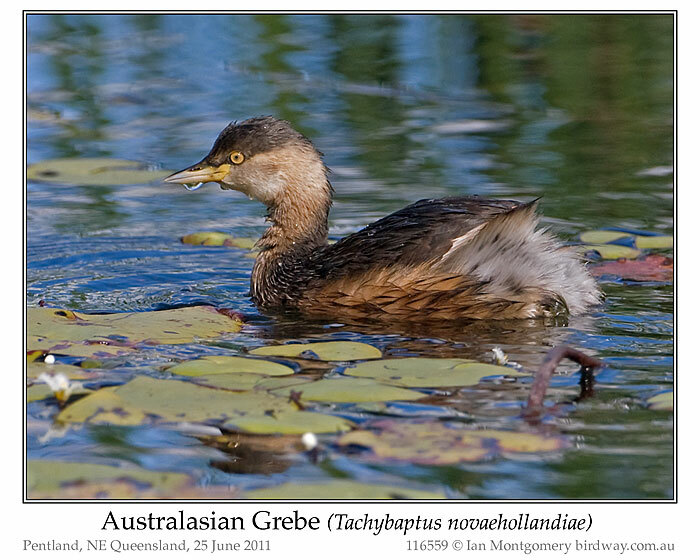 Then I’ll start on the Australasian Passerines (46 families). 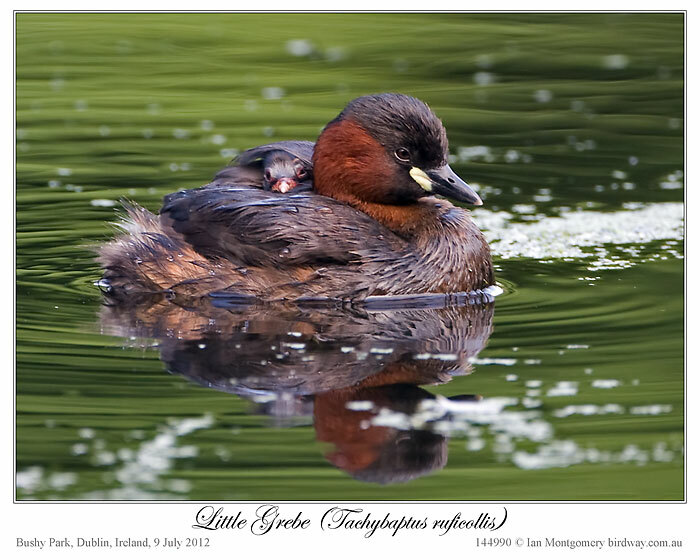 What a cute little bird! 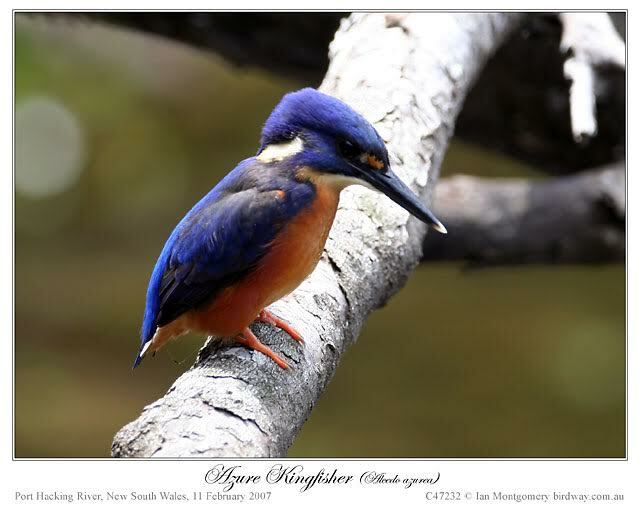 Love those kingfishers anyway, but this one seems special. It is in the river kingfisher part of the family.